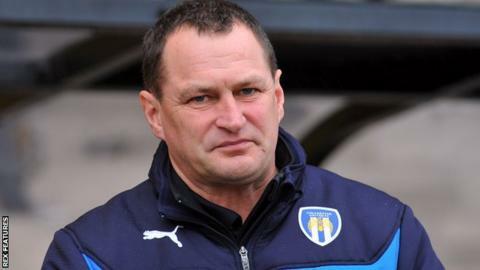 Colchester United boss Tony Humes says his side need to remain positive after their winning run in League One came to an end against in-form Bury. The U's had been on a six-game unbeaten run, including four back-to-back wins before Saturday's loss. "We've been on a great run. It shows we're a solid team and teams are going to respect us," Humes told BBC Essex. Despite losing 1-0 to Bury, Humes' side lie in 10th place and are just a point off the League One play-off spots. Bury have now won six consecutive games and extended their unbeaten run to eight - but Humes is not worried about what impact the result might have. "It's a defeat but there's so many positives to take from it. I said to the players, be disappointed but there's nothing to be negative about," he added. "As you go up and you progress in your career, that is how it is week in and week out. We'll keep doing what we're doing and keep going."